Daniel Boyne and Jenni Flaherty. THIS YEAR'S Renmore pantomime, Beauty and The Beast, opens at the Town Hall Theatre on Saturday December 30, and promises to be a spectacular adventure of laughter, music, and song. As ever, the show is scripted by panto dame Peter Kennedy and directed by Sean and Brian Power and this winning team is poised to deliver yet another seasonal cracker. King Duncan (David Booth ) and Queen Mathilda (Marsha Maly ) arrive in the Kingdom of Renmore in search of their son, Prince Duncan Jr (Daniel Boyne ). Little do they know he has been turned into a Beast by the wicked Witch Evileena (Ellie Davis ) because he refused to marry her. The Beast's only hope is to find true love before the Rose petals fade. Along comes Potty Peter (Michael Cooney ) who steals a red rose from Beast’s garden to bring to his beautiful daughter, Belle (Jenni Flaherty ). Beast is outraged by the theft and keeps Potty Peter captive, only releasing him in exchange for Belle. But will Belle see past Beast’s fearsome exterior to the noble soul within? 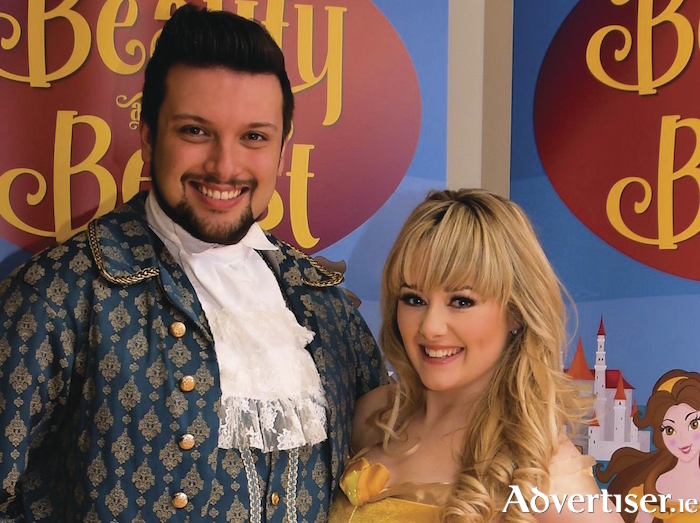 Taking the central roles in this year’s panto is Renmore newcomer Daniel Boyne, as Beast and Jenni Flaherty, as Belle, and they both took time out from their preparations to chat with me about the show. Jenni Flaherty is something of a Renmore veteran, with Belle marking her sixth panto appearance with the troupe. It’s a role one could say she was born to play as her love of theatre and performance stemmed from a childhood trip to see Beauty and The Beast in London. The cast also features Declan J Gardiner, Katie Creaven, Richard Brown, Siofra Ní Chonluain and the ever-popular Renmore Smurfs. Beauty and The Beast runs at the Town Hall Theatre for 19 performances from December 30 to January 14. Shows at 7.30pm are on December 30 and January 1, 2, 4, 5, 6, and 10 to 13; 2.30pm matinees are on December 30 and 31, and January 1, 6, and 13; 12 noon and 4.30pm performances on January 7 and 14. There will be a sensory friendly performance on January 7 at 12 noon. Tickets are €17/15 via the Town Hall Theatre (091-569777 or www.tht.ie ).